Cranberry Flick, a Nottingham based, seven piece Swing, Jive and Rhythm & Blues band, playing music from the 1920's and across the decades. 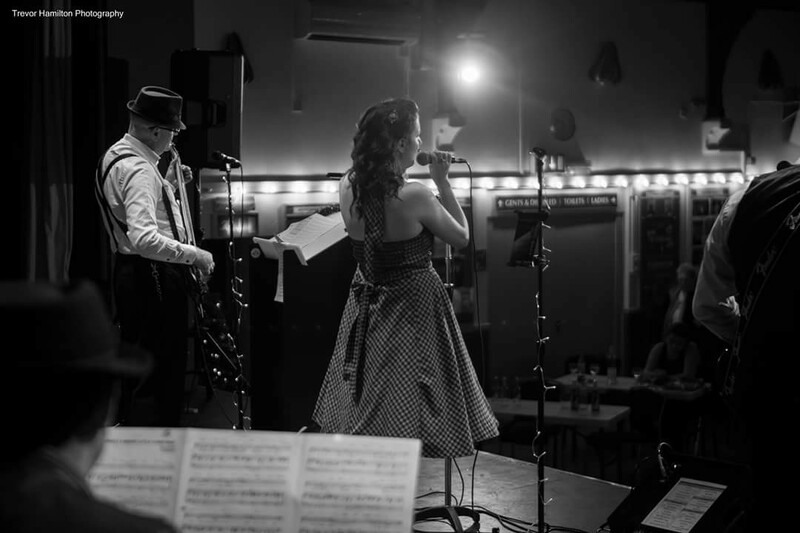 Their usual set list would include music by a vast range of artists and composers such as Ella Fitzgerald, Connie Francis, Peggy Lee, Ray Charles, Benny Goodman, Luis Jordan, Jools Holland, T -Bone Walker, Paloma Faith, Chuck Berry, Caro Emerald, and many, many others. 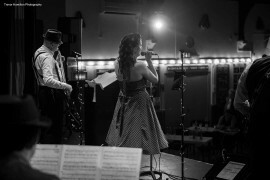 Not only playing great music to listen and dance to, Cranberry Flick also provide a visual show, incorporating vintage style music stands and props, vintage costume changes and brass musicia ... ns stepping up to the front for solos. They pride themselves in providing a unique and classic experience, being entertaining and making guests feel welcome and included. 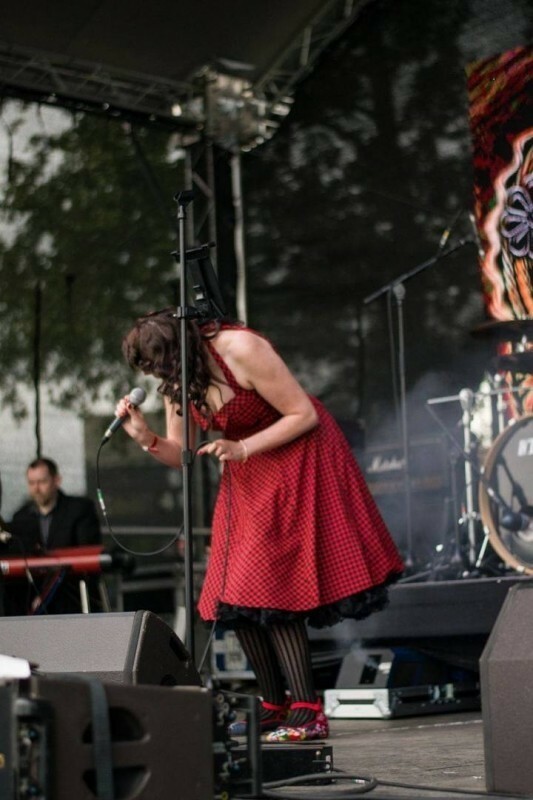 Whilst particularly suitable for that special private party, wedding, or corporate function, the band is also more than at home playing to larger crowds at music or beer festivals, garden parties, village fetes and pretty much any other similar, outdoor function. As well as more intimate venues such as music clubs and wine bars. They are fully self-contained and just require sufficient, appropriately lit space for seven musicians and gear and mains power. 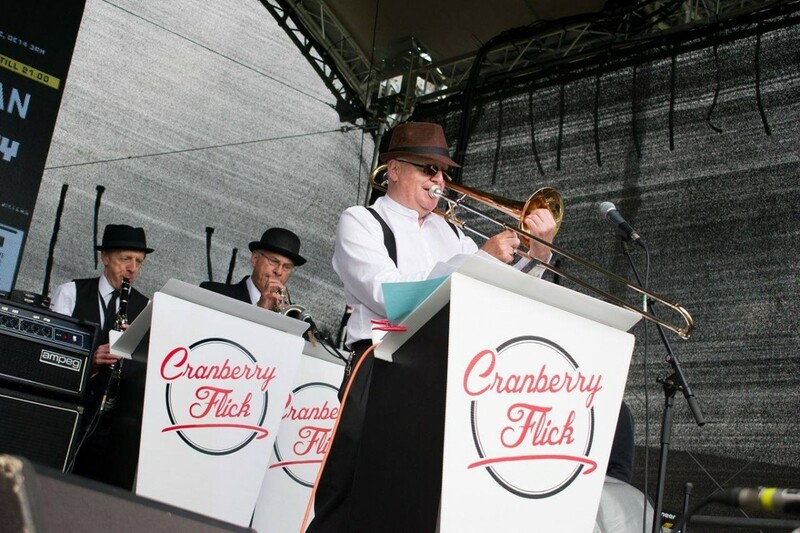 Whether its music to dance to or to sit back and enjoy, Cranberry Flick's vintage show creates an atmosphere with high energy Swing and Boogie alongside romantic ballads, setting the scene to bring your guests onto the dance floor and is certain to make sure they leave wanting more. 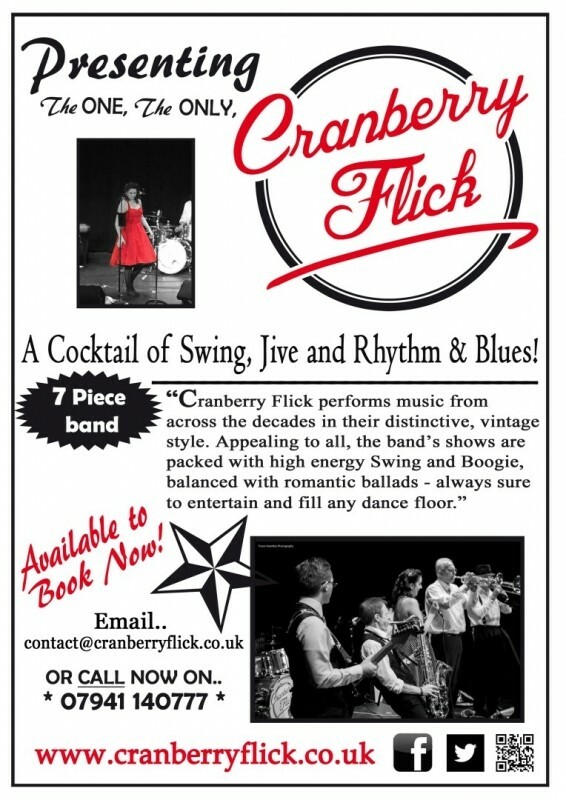 The Nottingham Huntington's Disease charity booked Cranberry Flicks to play at their charity casino dinner and dance. From the moment they took to the stage guests were up and dancing on the dance floor. The band played an assortment of music to suit all tastes. Communication from the band leading up to the event was good and any queries I had were answered promptly. I would highly recommend and would definitely book Cranberry Flicks for future events. Cranberry Flick entertained us at our Garden Party on Sunday 20th August 2017 at Kings Newton. They played some excellent music which was enjoyed by everyone and all the members were delightful. Very professional and organised. We would certainly highly recommend them. We had the pleasure to have Cranberry Flick at our autumn 2016 events. They were a joy to listen to and we had some lovely comments from our customers about the band. They are professional and well organised which was very refreshing! 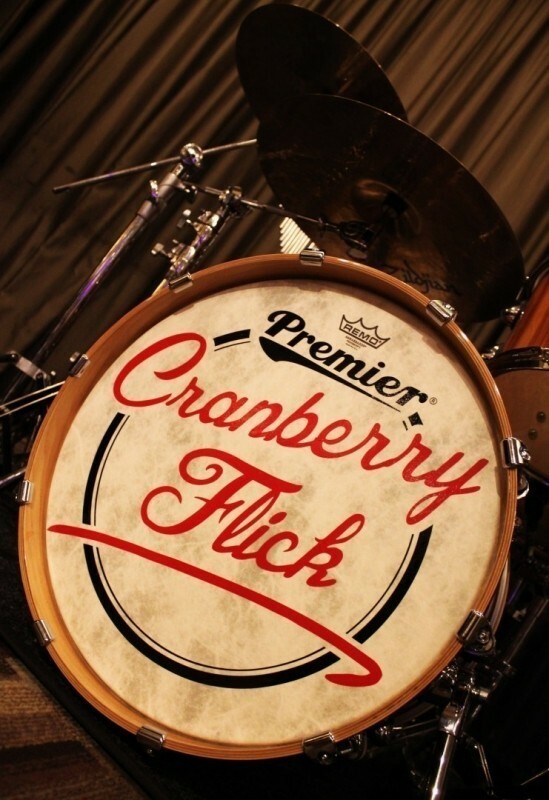 We would highly recommend Cranberry Flick for any events - wedding, parties etc and we’re positive you will love them as much as we did! 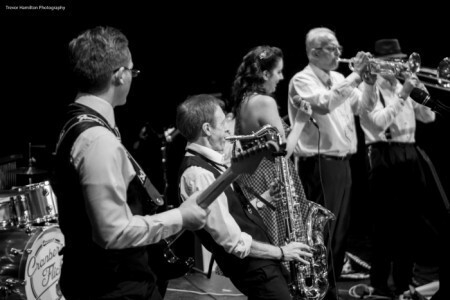 The band comprises of seven highly experienced musicians who between them, have worked in pretty much every area of the music business from musical theatre to cabaret, big bands to brass bands and folk music. 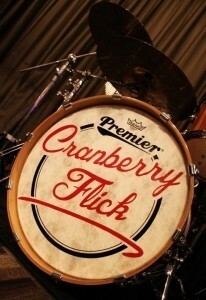 It is this collective and diverse experience that comes together to produce the 'Cranberry Flick Cocktail'. 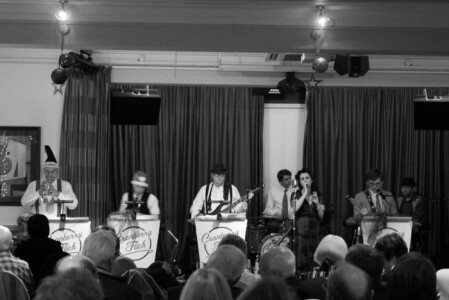 The make-up of the band affords them a huge flexibility, switching between mellow ballads and waltzes, perfect for that first dance, to trad jazz numbers, where a brass section explodes into the spotlight and moving on to heavier rock 'n' roll and rhythm & blues sounds with breath-t ... aking guitar solos.. never a dull moment!